A blanket of purple crocuses coats the lawn and it is clear that this Georgian country house practically beams in spring, although it looks beautiful all year round. 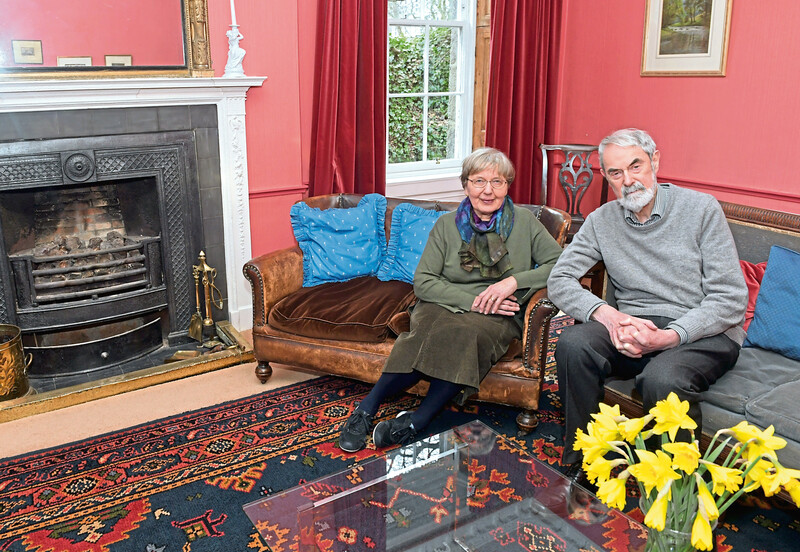 From stunning original features to the lovely surroundings of Old Aberdeen, it will certainly be a sad goodbye for owners Margaret and Derek Sleeman. They arrived at the family home more than 30 years ago after returning from California, and it has provided their very own slice of solitude ever since. Margaret and Derek Sleeman at their home.. Pic by Kath Flannery. The couple were partly charmed by the peaceful location, and indeed the sound of bird song as opposed to traffic can be heard from the immaculate lawns. There is even a resident woodpecker, and the gardens were a constant source of discovery for the couple’s daughter, Izzy. She was only five years old when the family arrived in Aberdeen, and grew up entranced by the brides walking into nearby St Machar’s Cathedral. The ultimate viewing point was provided by the garden walls, and Izzy was able to make her own way from her childhood home to the altar after getting married at the cathedral two years ago. Margaret even provided the confetti from roses in the garden, and will be leaving with many happy memories. “Izzy would look over the wall on a Saturday and see the brides coming past, some in horse and carriage,” said Margaret. “Many of the families who live here stay for a great many years, and Izzy was able to get married at the cathedral which was very special. “It was a small ceremony by today’s standards with 60 people, and everyone came back to the house afterwards for a cup of tea before making their way to the reception. The adorning foliage on No 10 certainly makes for a beautiful exterior and the house was built in 1820 as a dower house for Barra Castle. The plot is medieval and was once the lands of the canon of Oyne. 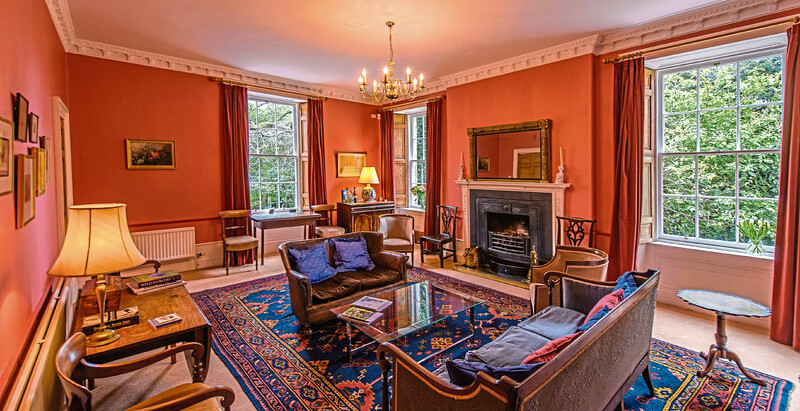 The hallway leads to a lovely drawing room complete with south-facing windows and lovely garden views. An open fireplace adds to the character and this room is particularly well used at Christmas time, as it provides the ideal spot for the tree. 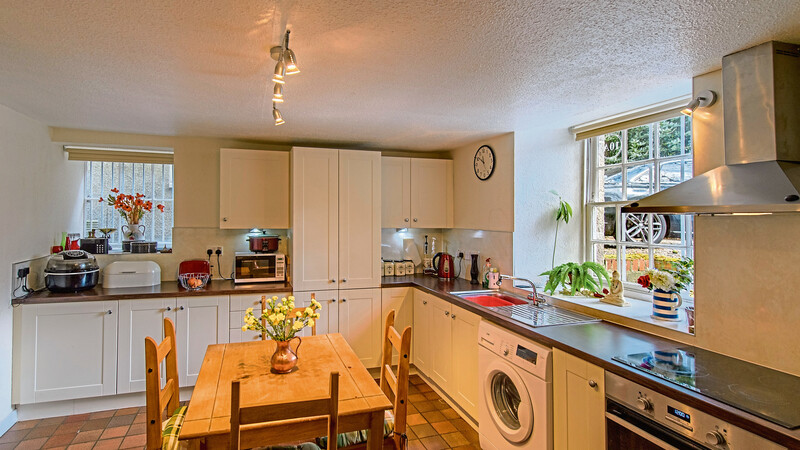 There is also a dining room alongside a well-fitted kitchen. “The dining room used to be a library, but we only found this out when a previous owner came for a look around,” said Margaret. “We enlisted the help of an architect in the drawing up of plans, as it would be possible to completely remodel the downstairs and perhaps make the kitchen and dining area open plan. The dining room overlooks the rear garden where there is an abundance of daffodils, vases of which are dotted around the house. The master bedroom and three double bedrooms can be found on the first floor. 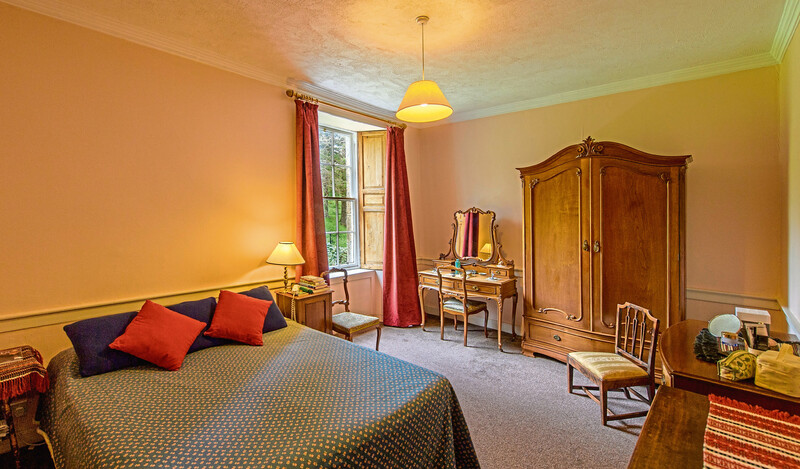 Two of the bedrooms are currently in use as studies as both Margaret and Derek worked at Aberdeen University. There is also a family bathroom with lovely views of the garden. 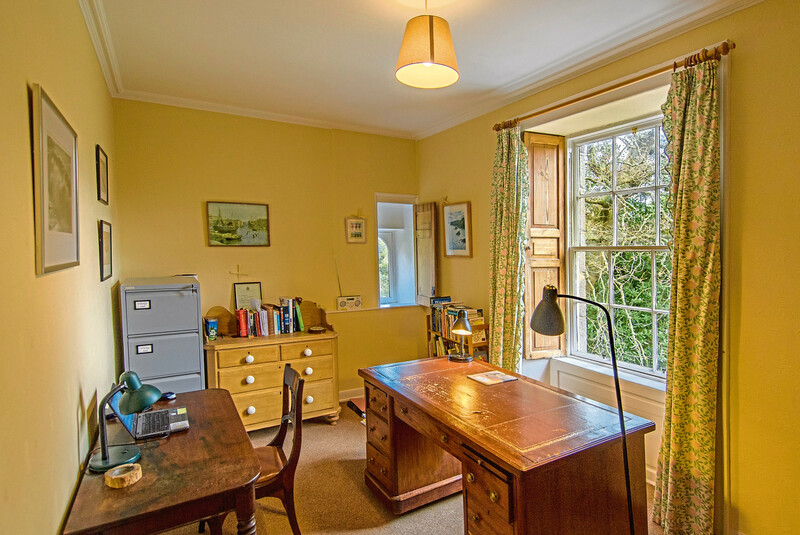 Two additional bedrooms can be found on the second floor and offer fitted wardrobes and dormer windows. Again, stunning views are offered, with glimpses into the Cruickshank Botanic Garden and Arboretum. An apartment can also be found on the lower ground floor, and offers potential for a tenant or family member. It could also be re-incorporated into the layout of the house and currently offers a modern dining kitchen, sitting room, two double bedrooms and a bathroom. The picturesque grounds are perhaps the house’s crowning glory. The gardens offer complete privacy and provide a rare countryside retreat in the city, with a lovely collection of mature trees. Oak, copper beech and chestnut shed golden leaves in the autumn and there are also apple trees which produced an impressive crop last year. The rear garden has a variety of spring bulbs and there is a well-established herbaceous border. “The community here have been wonderful and we’ve had many people round to the house over the years,” said Margaret. “We will be sad to leave but we know the time is right to downsize. Offer should be made in the region of £660,000.